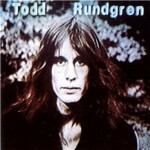 TODD RUNDGREN’s Solo Genius Pt. 3 On Geek EmaNation Podcast! This week’s GE presents a few songs from TODD RUNDGREN’s 1975-76 solo albums Initiation and Faithful, and then presents his 1978 solo LP Hermit Of Mink Hollow and 1981 LP Healing in their entirety. These aren’t TR’s most famous records, but definitely albums that deserve to be remembered. Deep TODD for the masses, fellow music geeks!